Maricaban Island is located in the province of Tingloy, about four kilometres south west of Batangas City. 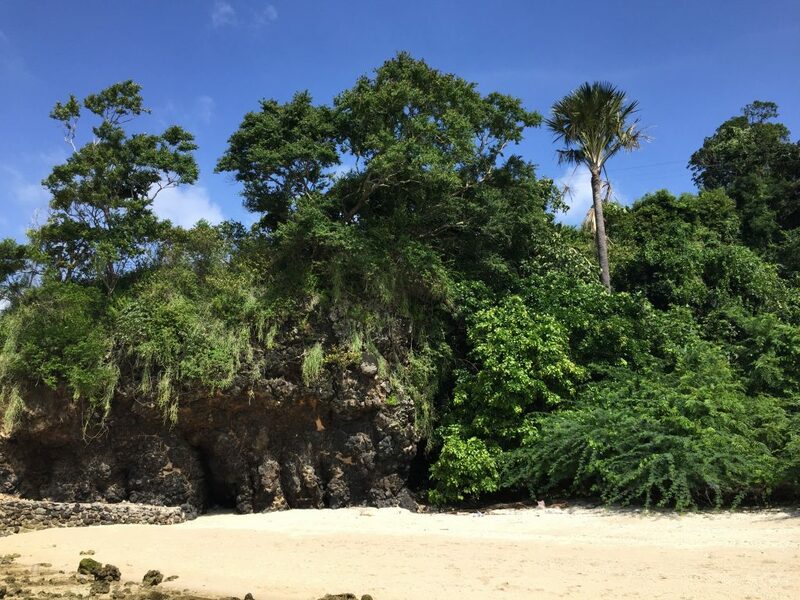 When the family and I stayed at Bonito Island, we did a day trip across to the much bigger and prominent, Maricaban Island, to visit Masasa Beach, which is a spectacularly secluded white sand beach on the southern side of the island. We spent the day just chilling out in the serene waters and walking along, and exploring, the beach and rock formations. We were more or less the only people within about a 100-metre radius which I found fantastic and very invigorating. Maricaban Island isn’t really renowned as a tourist destination in comparison to its more popular and renowned neighbour, Puerto Galera. As such, it isn’t geared up for tourism and it doesn’t have any international style resorts. 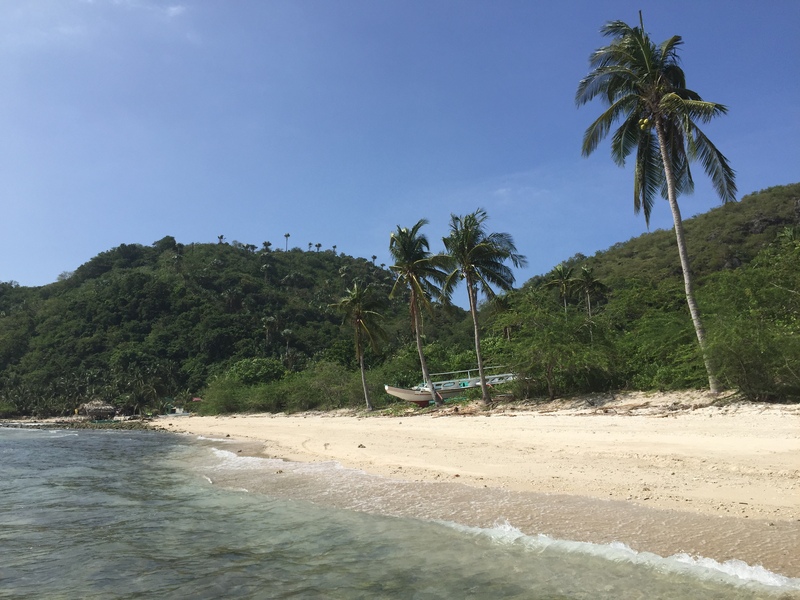 However, you could easily do a day trip from Manila to Maricaban Island, and visit Masasa Beach. If you were to do a day trip Masasa Beach, it is recommended to pack a picnic lunch and plenty of water, as there really isn’t much on offer in that regard. This is the ultimate chill place, so if you want action, forget it. If you want to chillax, then this is a great place to consider. Other places of note are Mag-Asawang Bato which is one of the two peaks offering 360-degree views of the island. 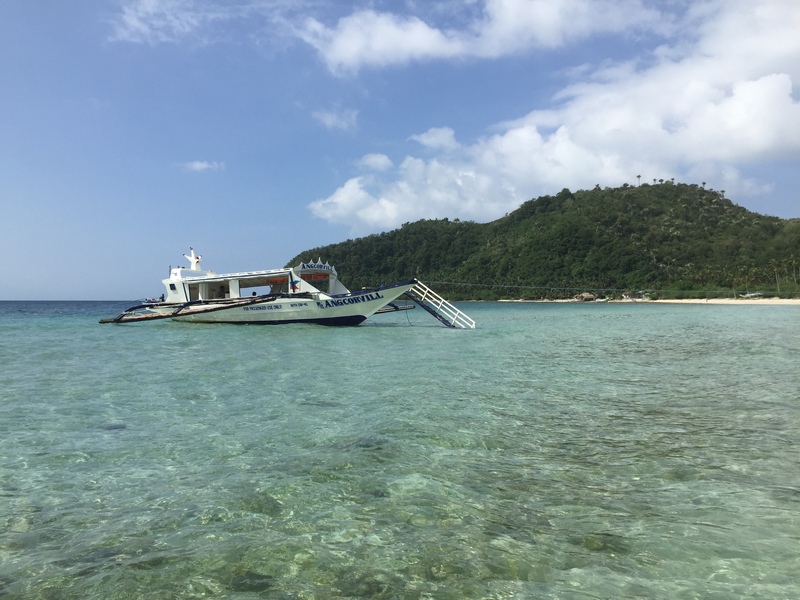 You can also take a boat to the uninhabited Sombrero Island is located at the eastern tip of Maricaban, or Caban Island which is located on the northwestern tip, and has a number of white sand beaches. There is also an option to camp at Masasa Beach which a lot of people do. However, unfortunately, there is a bit of litter and garbage left around the area which is a bit of an eyesore. There is a place there called Ate Rosie’s, which is very much a local standard kubo style of accommodation. However, it does have toilets. 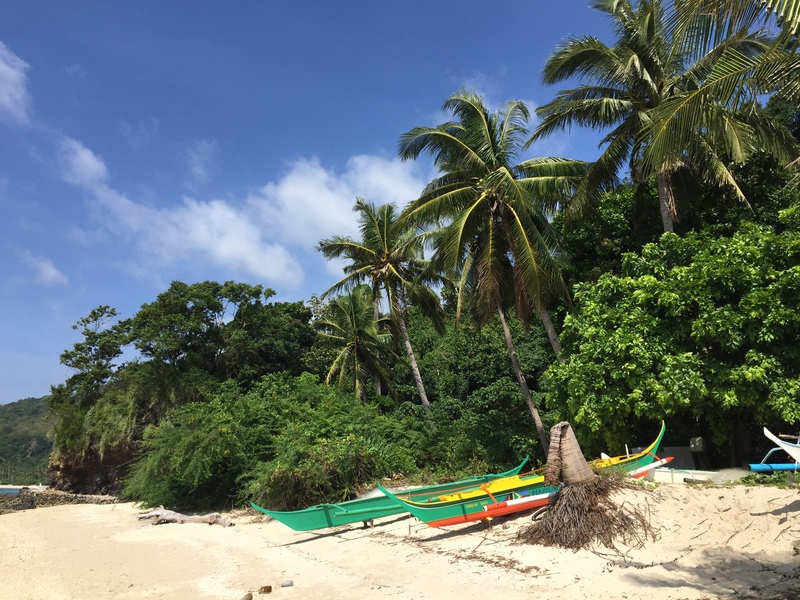 Another option is you could also stay the weekend at one of the many resorts in Anilao, and do an island hopping day trip by boat, taking in Sombrero Island, Caban Island and Masasa Beach, departing from Mabini (Talaga) Port. Either way, Masasa Beach is well worth a visit. One of my favourite photos from Masasa Beach. It captures the sensational white sand, the palm trees and the fishing boats. This image captures the full essence of Maricaban Island. One of the more desolate sections of Masasa Beach. Strolling along here made me feel like I was the only person on the planet! Our boat for the day which we hired from Isla Bonito, our resort on Bonito Island. The waters around here can get quite rough so it’s important to have a strong and sturdy boat. This fairly secluded part of the beach was just before a local fishing village where there was finally some sign of life. Talaga Port in Mabini is the area to take a boat to Maricaban Island. From Makati to Anilao Port, it is about 120kms, or about a 2.5 hour drive via the SLEX and Star Tollway. From Talaga Port, the boat ride to Tingloy Port is about one hour and should cost less than P100 per person one way. Boats leave every hour until about 10am. Once at Tingloy Port, you can take a tricycle to Masasa Beach for about P60 per person. Tricycle ride is about 20mins. Avoid going here in December and around April/May as the tide makes for some very rough seas. Best time of the year to go would be February or March, but be prepared for scorching sunshine. This could be done as a day trip from Manila with a very early start if you have a car and driver.